The 2017 edition of the Offshore Technology Conference (OTC) that just ended in Houston, Texas the USA may have come and gone but, its enduring memories will linger for sometimes to come, especially for the high power delegation from Bayelsa State led by Executive Governor of the state, Honourable Seriake Dickson. The delegation that was deliberately selected for the purpose of fashioning a new economic drive weaved around the oil and gas industry, had as part of the team Secretary to the Government of Bayelsa, Barrister Serena-Dokubo Spiff; Professor Steve Azaike, former Secretary to the State Government/Adviser to the Governor and Mr Kemela Okara, Commissioner of Trade and Investment. Others include Senator Foster Ogola who has as his legislative interest the Niger Delta Development Commission (NDDC) and operations of the Upstream and Downstream petroleum industry, among others. In another development, the Bayelsa Chief Executive have assured of the full participation of his government as sponsor and partner to the 2017 edition of the annual Upstream and Downstream Oil and Gas Exhibition and Conference scheduled for August 30 – 31 in Abuja, Nigeria’s capital. Details of the Bayelsa state sponsorship of the 2017 edition of the Upstream and Downstream Oil and Gas Exhibition and Conference will soon be unveiled but suffice to say that Governor Dickson expressed his satisfaction with the tenacity and vision of the organisers of the leading annual oil and gas exhibition and conference in Nigeria. 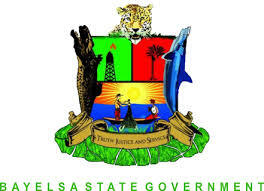 It is apparent that Governor Dickson understands the strategic role of the oil and gas industry in the economy of Bayelsa state and the entire South-south of Nigeria’s economy hence, his untiring support of the sector and its activities. Beyond the value chains provided by oil and gas to the South-south state, the Bayelsa chief executive understands that whatever future plans he has for his people, oil and gas remains a pivotal segment which cannot be taken with levity. Among some of the innovative items at OTC 2017 include new technologies in building modular refineries which has received the support of the Federal Government of Nigeria and improved and cost-effective ways of operating different segments of business of oil and gas, among others. Declaring open the Nigerian pavilion, Minister of State for Petroleum Resources, Ibe Kachikwu, announced that deliberations at the conference was expected to produce workable solutions that would impact on Nigeria’s development and the country’s attendance included the search for investors. Notably, according to the minister, beginning from 2018, the country’s sponsorship of delegates to the conference would be drastically pruned down to only experts in the oil and gas sector, Kachikwu pointed out that in 2016 a total 250 delegates were sponsored by the Nigerian government. The 2017 edition had only 50 delegates sponsored by the Federal Government. This is amidst the promising development witnessed in the global price of oil which has instigated renewed hope in the recovery of the Nigerian economy. Nigeria’s representatives of included officials from Ministries, Departments, and Agencies, as well as lawmakers. Founded in 1969, the Offshore Technology Conference is the world’s foremost event for the development of offshore resources in drilling, exploration, production and environmental protection. A top-notch conference hosted to showcase technological breakthroughs in oil and gas exploration and exploitation; it is also an opportunity for the organisers to reward individuals, companies and academic researches into these breakthroughs. Nigeria’s participation was organised by the Petroleum Technology Association of Nigeria (PETAN). PETAN is an association of Nigerian indigenous technical oilfield service companies in the upstream and downstream sectors of the oil industry. PETAN was formed to bring together Nigerian Oil and Gas entrepreneurs to create a forum for the exchange of ideas with the major operators and policy makers.